Quick recover deleted files and folders from NTFS or FAT32 volumes. Scan hard disk of NTFS or FAT32 volumes to find and recover deleted files. A must-have tool should be installed on every Windows PC. Recover the whole folder with all files under it, and the folder structure will also keep unchanged. Works with all hard drive, USB drive, memory card and other storage media. Mac data recovery software will help you rescue your lost or inaccessible files from any imaginable data recovery disaster. 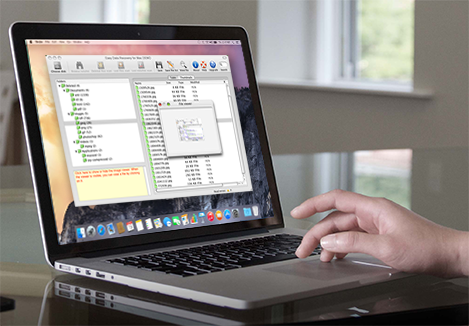 Powerful and easy-to-use Mac Data Recovery application that provides complete recovery of lost, deleted, corrupted, RAID volumes, formatted data, and even from initialized disks.... almost anything! Mac Data Recovery is also completely safe to use since it does not attempt any risky repairs to the drive it's scanning. It is the safest, advanced data recovery software for Macintosh System. The software supports both HFS and HFS+ partitions. Available for Mac OS X 10.6 or later. Ready for macOS 10.14 Mojave. An advanced and professional data recovery software helps you out of all data loss problems - it will recover files emptied from the Recycle Bin, or data loss due to partition loss or damage, software crash, formatted or damaged hard drive, virus infection and other unknown reasons. The data recovery software works wonderfully with all hardware RAID and hard drives, external drive, USB drives, SD and Memory Cards, etc. I recently petitioned a new hard drive using this recovery software, this company that has always produced good solid programs in my experience, thanks. I did regret to delete some important data on my Windows Drive E, then downloaded easy data recovery software, it recovered my data. So lucky! Easy Data Recovery is trusted by approximately 29,000 customers worldwide. Knowledgeable representatives available to assist you through instan email response within 24 hours. Send email to support[at]easy-data-recovery.com with questions or comments. Copyright © 2007 - 2019 Easy-data-recovery.com, All Rights Reserved.